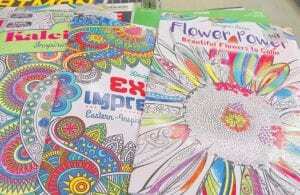 FLINT TWP – America’s growing fascination with the therapeutic coloring books for adults trend is still going strong. The local Goodwill thrift store, 4340 Miller Road, has decided to get in on the fun by sponsoring a contest all this month, according to signs posted at the store which has a large variety of the coloring books for sale. To enter Goodwill’s “first-ever adult coloring contest,’’ entrants are asked to buy one of the books for sale at $1.49 each, creatively color one of the pages and bring it back to the store to be displayed in the store window. Customers who already have purchased one or more of the books are still eligible to enter the contest. They need only color a page and return it to the store during the contest period. One entry is allowed per person. The contest started May 4 and will end May 31. The winner will be announced June 1. The winner will receive a $25 Goodwill gift certificate and have their photo displayed on the Goodwill of Mid-Michigan Facebook page, for all the world to see. 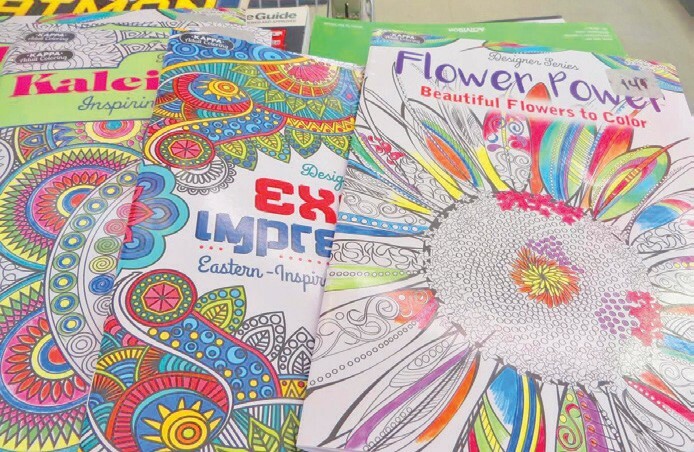 The Goodwill Flint Township store is sponsoring an adult coloring book contest, using pages from these books that are sold in the store. The colorful contest is tapping into a national trend which shows the adult coloring craze is big business in the United States. Sales in the U.S. skyrocketed from one million to 12 million books in the past year, according to data from Nielsen BookScan, which covers approximately 85% of the U.S. book market. 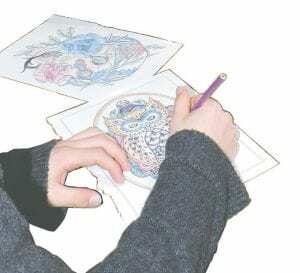 Publications of the coloring books rose from 200 in 2014 to 2000 in 2015, according to Nielsen Data. Several computer APPs also are now being marketed for those who prefer using their smartphones or electronic devices to color on the go.